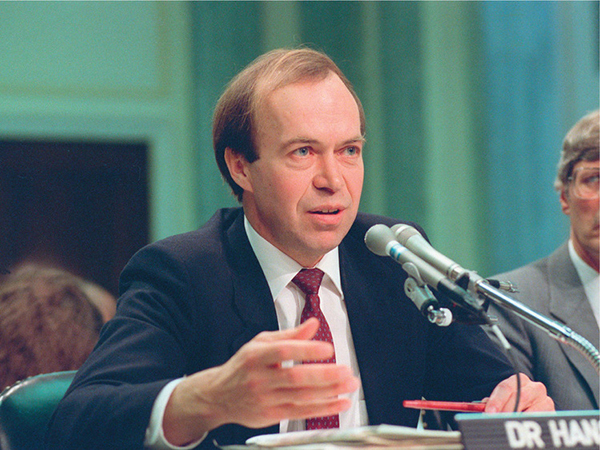 Thirty years ago, while the Midwest withered in massive drought and East Coast temperatures exceeded 100°as published: 100 degrees FahrenheitF, I testified to the Senate as a senior nasa scientist about climate change. It’s time to stop waffling so much and say that the evidence is pretty strong that the greenhouse effect is here. This clear and strong message about the dangers of carbon emissions was heard. The next day, it led the front pages of newspapers across the country. Climate theory led to political action with remarkable speed. Within four years, almost all nations, including the United States, signed a Framework Convention in Rio de Janeiro, agreeing that the world must avoid dangerous human-made interference with climate. Sadly, the principal follow-ups to Rio were the precatory Kyoto Protocol and Paris Agreement—wishful thinking, hoping that countries will make plans to reduce emissions and carry them out. In reality, most countries follow their self-interest, and global carbon emissions continue to climb—see graph immediately belowas published: (see graph above). It’s not rocket science. As long as fossil fuels are cheap, they will be burned and emissions will be high. Fossil fuel use will decline only if the price is made to include costs of pollution and climate change to society. The simplest and most effective way to do this is by collecting a rising carbon fee from fossil fuel companies at domestic mines and ports of entry. Economists agree: If 100 percent of this fee is distributed uniformly to the public, the economy will be spurred, GNP will rise, and millions of jobs will be created. Our energy infrastructure will be steadily modernized with clean energies and energy efficiency. The clinching argument for a carbon fee, as opposed to ineffectual cap-and-trade schemes dreamed up by politicians, is that the fee can be imposed almost globally via border duties on products from countries that do not have a fee, based on standard fossil fuel content of the products. This will be a strong incentive for most countries to have their own fee. Any cap approach, by contrast, leaves the impossible task of negotiating 190 caps on all the world’s nations. Governments of some countries may keep a carbon fee as a tax. However, in democracies uniform 100 percent distribution of the funds will be needed to achieve public support. A carbon fee is crucial, but not enough. Countries such as India and China need massive amounts of energy to raise living standards. The notion that renewable energies and batteries alone will provide all needed energy is fantastical. It is also a grotesque idea, because of the staggering environmental pollution from mining and material disposal, if all energy was derived from renewables and batteries. Worse, tricking the public to accept the fantasy of 100 percent renewables means that, in reality, fossil fuels reign and climate change grows. The United States and Europe burned most of the global carbon budget that we are permitted to burn if climate is to be stabilized. As such, we have a moral obligation to the developing world, and a practical problem, because we all live on the same planet. Young people are puzzled that, 25 years ago, President Clinton terminated research and developmentas published: R&D on next-generation safe nuclear power, the principal alternative to fossil fuel electricity. It is not too late. My advice to young people is to cast off the old politics and fight for their future on technological, political, and legal fronts. It will not be easy. Washington is a swamp of special interests and, because of the power of the fossil fuel industry, our political parties are little concerned about the mess they are leaving for young people. Young people have great potential political power, as they showed in their support of Barack Obama in 2008 and Bernie Sanders in 2016. However, it is not enough to elect a leader who spouts good words. It is necessary to understand needed policies and fight for them. Constitutional Right to Survivable Climate: It is not an impossible stretch that Thomas Jefferson’s sacred and undeniable truth regarding the right to life of “all men” will eventually lead to the Supreme Court weighing in on the demand for meaningful climate action. That Dr Hansen recognises Juliana v. United States, filed in 2015, will be no quick fix is apparent in his reference to Brown v. Board of Education, filed in 1951. As the police shooting of unarmed, 18-year-old Michael Brown demonstrated, nearly seven decades on police kill more than twice as many African American as non-Afro-Americans. 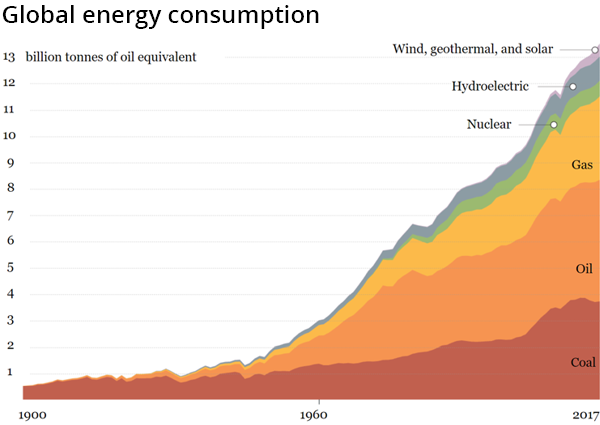 If the proclivity for fossil fuel use, or the fantasy of 100% renewables proves to be equally as persistent, the chances of tomorrow’s children experiencing the right to life, liberty and the pursuit of happiness—even in happiness’s 1776 parlance—are zero. 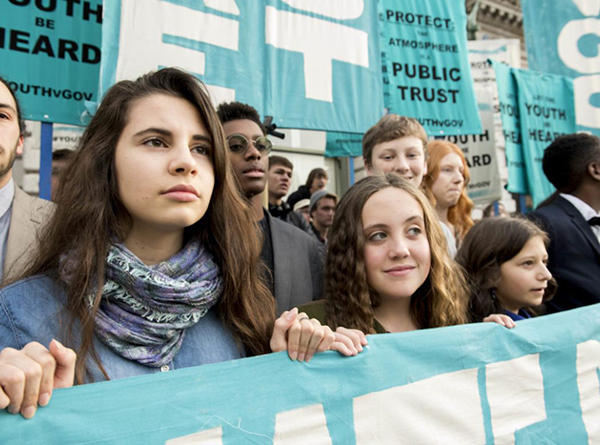 The best way to fight for the carbon fee and dividend is to join Citizens’ Climate Lobby, which now has more than 90 000 members but needs more, especially young people. CCL members are appropriately polite and respectful as they cajole politicians in Washington. If they were joined by the fire of young people that was demonstrated in 2008 and 2016, even the mighty fossil fuel industry would take notice. The fossil fuel industry afraid of kids? They might be when they notice who is standing behind the kids: the United States Constitution. Kids are people with constitutional rights to life, liberty and property. Many lawsuits are being filed, in the United States and around the world, on behalf of young people. 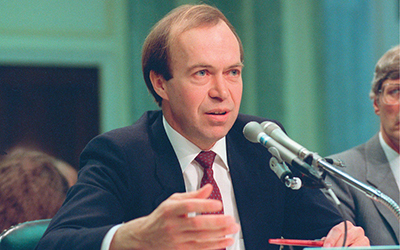 They include stopgap efforts, such as a suit to block the Trump administration from opening the Powder River Basin in Montana to coal exploitation (with potential to exceed US emissions of the past 50 years), and the Our Children’s Trust lawsuit, demanding government policies to reduce fossil fuel emissions at a rate that the science indicates is needed to support a healthy climate. Chances of winning lawsuits grow as incontrovertible evidence of climate change grows. The judiciary is less subject to bribery from the fossil fuel industry than are the other branches of government. Yet in this case, justice delayed may be justice denied. Young people cannot afford the “all deliberate speed” that followed the Brown v. Board of Education decision regarding civil rights in 1954. Young people and old people must understand the implications of the accompanying graph. 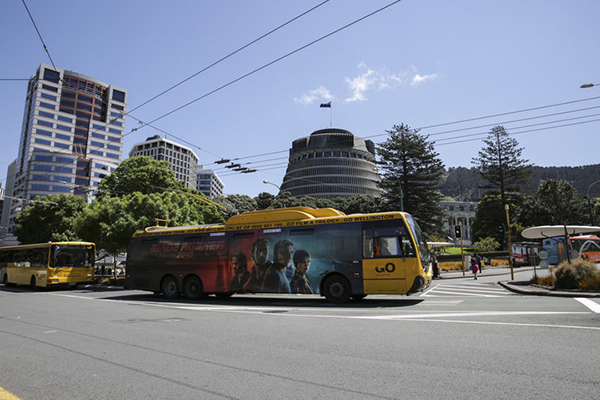 The fight to phase down fossil fuel emissions is not yet being won. We all must understand needed energy policies and fight for the future of our young people. We must use all the levers of our democracy to force the fossil fuel industry to become a clean energy industry.